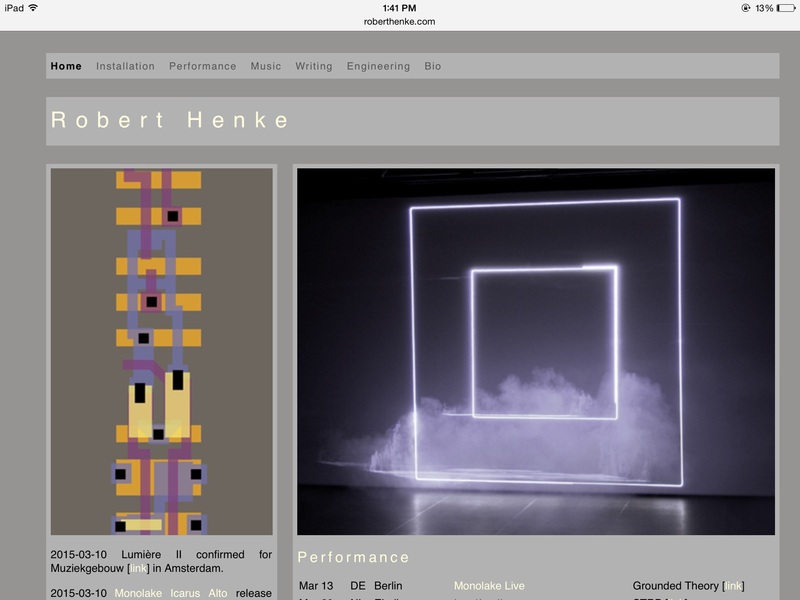 Robert Henke is multi-talented digital artist. His website details succinctly every aspect of his productive life. From his cutting edge laser based visual performance to the custom made max4live patches everything is easy to find. Yet the simplicity of the site hides its depth, you could spend a day or two learning new thing form his writings section and many times that from his engineering page. This is not to mention and extensives musical discography reaching back over 20 years. This website is a one of a kind resource created by an impressive individual. This entry was posted in P3 Professional Blog Search on March 12, 2015 by signalspacesignal.